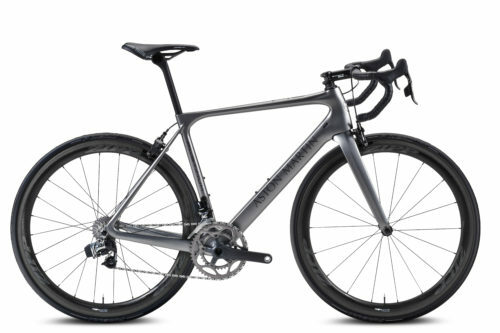 Aston Martin has collaborated with renowned bicycle manufacturer Storck to produce a limited edition run of road bikes. Just 107 examples of the exclusive Fascenario.3 Aston Martin Edition will be produced. 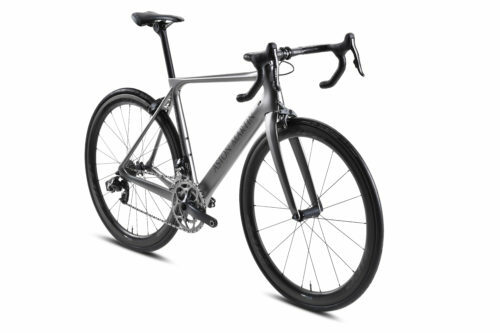 The frame and forks are the result of the latest advances in carbon fibre and aerodynamics, while the componentry is of the highest quality, meaning that the Aston Martin Edition sits at the very pinnacle of current road bicycles. 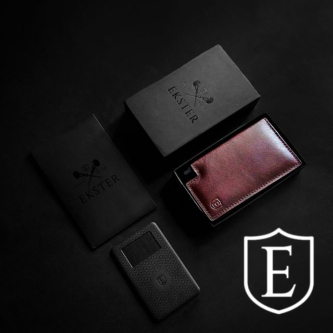 This project came about after Markus Storck, the eponymous founder and innovative leader of the Storck bicycle company, joined forces with Aston Martin on the Vanquish ‘One of Seven’ project. Having owned several Aston Martins, Storck worked with Aston Martin’s bespoke division, Q by Aston Martin, to develop the septet of special sports cars that focused on showcasing carbon fibre. 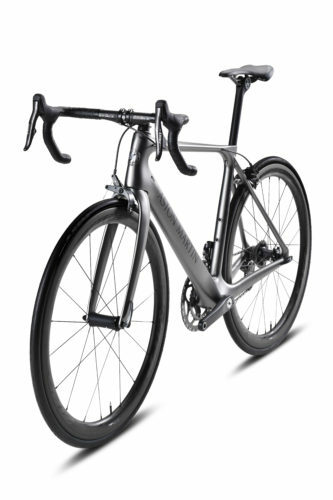 The end result is the Aston Martin Edition – the ultimate evolution of Storck’s Fascenario.3, which has won numerous tests and received multiple awards for its design. The frame weighs just 770g and combined with a host of lightweight items from manufacturers like THM and ZIPP, the whole bike weighs only 5.9kg. However, although it’s light, it’s far from fragile, with Storck greatly exceeding the expected industry testing standards in order to prove the durability of its frames. The Aston Martin Edition comes equipped with SRAM’s wireless gear shifting technology. Not only does this give the bike a wonderfully uncluttered aesthetic, but the left and right levers operate just like the paddles found behind the steering wheels on Aston Martin’s sports cars – right to go up a ratio and left to go down. Q by Aston Martin, which usually tailors cars to specific customer requirements, was responsible for mixing the bike’s subtle yet distinctive paint. Named Argentum Nero, it is a twist on the company’s classic racing green. Depending on the light in which the bike is viewed, the paint colour changes subtly, appearing a lustrous grey, green or silver. This colour will also appear on a future car collaboration between Storck and Aston Martin. Carbon fibre is every bit as important in the modern bicycle industry as it is in sports and super car production. To this end the Fascenario.3 frame has been designed with innovative Nano Carbon Technology. The utilisation of nanoparticles in the resin structures of the carbon fibre improves the breaking and splintering behaviour, increasing the flexibility. This leads to enhanced comfort combined with higher component safety. Storck has also paid particular attention to the types of carbon fibre used and the way that they are laid up in the transverse-oval tube shapes. The aim of any bicycle frame is to have stiffness where it is needed to aid power transfer, but tempered by the desire for comfort. Perhaps the most visual example of this is the bike’s flat-backed seat post, which has a cross section designed to aid flex and therefore compliance. Many of the other components, such as the THM brakes and ZIPP wheels are also made of carbon fibre. Just as Aston Martin strives to improve the aerodynamics of its cars, so Storck has striven to produce class-leading aerodynamics in its bikes. Parallels can be drawn between the new DB11 and the Fascenario.3 with both going to great lengths to smooth the airflow around the front wheels. Storck achieves this through its distinctive open and wide design of fork, which leaves noticeably more room around the front wheel than with conventional designs, thereby avoiding aerodynamically unfavourable vortices. A prototype of the bicycle was originally presented at the exclusive Rouleur Classic cycling event last year. During the subsequent 12 months a few changes have been made to items such as the bottom bracket, which is now stiffer, and the brakes, which are now the second generation of THM’s Fibula callipers. In a nod to the tyres used on some of Aston Martin’s road cars, the Storck Fascenario.3 Aston Martin Edition bicycle also now comes equipped with Pirelli’s recently launched high performance P Zero Velo tyres. The spectacular final production version of the bicycle is being showcased for the first time at the 2017 Rouleur Classic in Victoria House, London. With just 107 being produced, the Fascenario.3 Aston Martin Edition is likely to be a rare sight on the road but it will no doubt be highly sought after by collectors. The final word goes to Markus Storck, who is quietly confident that this collaboration sets a new benchmark: ‘I would say that this is probably the best bicycle ever built with an automotive name on it.